Lender owned, first time ever in MLS. 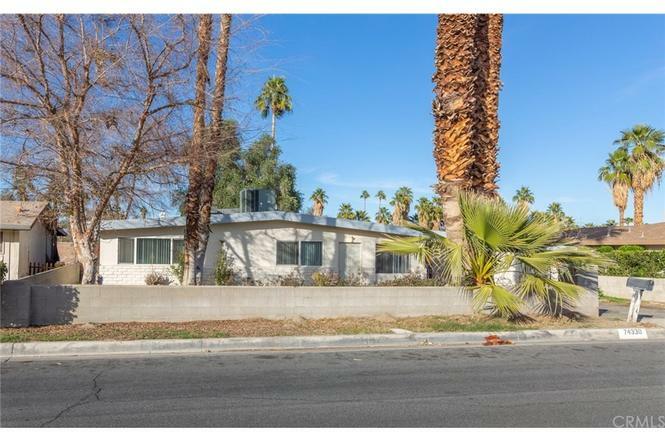 MidCentury Modern fixer on beautiful quiet street. Open floorplan with tons of natural light, blockwall fenced front yard with mature trees, huge blockwall fenced rear yard, nice views of mountains. Walkable to Sacred Heart Catholic School, Lincoln Elementary, P. D. Charter Middle School, Palm Desert High, Cook Sports Complex, Civic Center Park (spectacular), College of the Desert and P. D. Library. 10 miles to Palm Springs and Coachella.